We always love when we’re able to work with couples who choose our beautiful island as their wedding venue. There’s something so exciting about helping our clients and share some of the best kept secrets that only locals know. We also lucky that our couples have great taste. 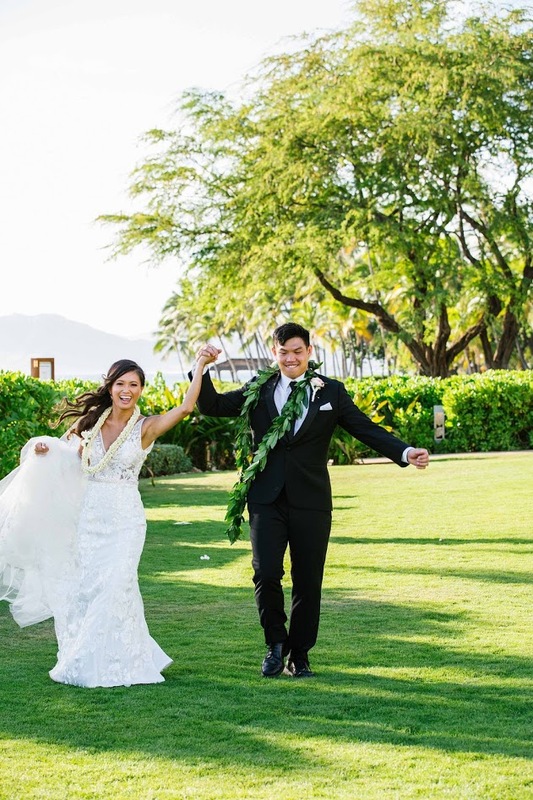 This couple chose Hawaii as the groom wanted to come back home to share their wedding day with his family and friends. 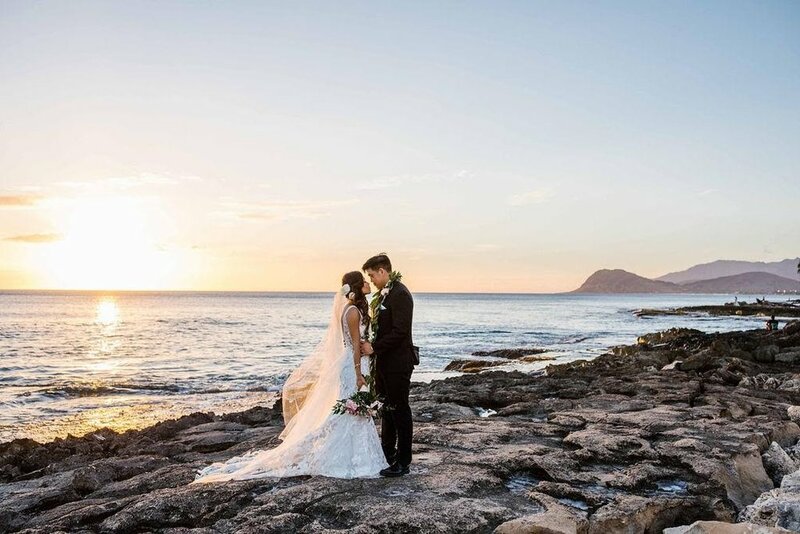 They chose the beautiful Four Seasons Resort Oahu as it has breathtaking views and backdrops from anywhere on property. Our laid-back bride wanted makeup that was natural, that looked like the best version of herself: glowing, perfected skin with an enhanced eye and natural lip, and soft, side-swept curls which we happily created as well as personalized looks for each member of her bridal party. 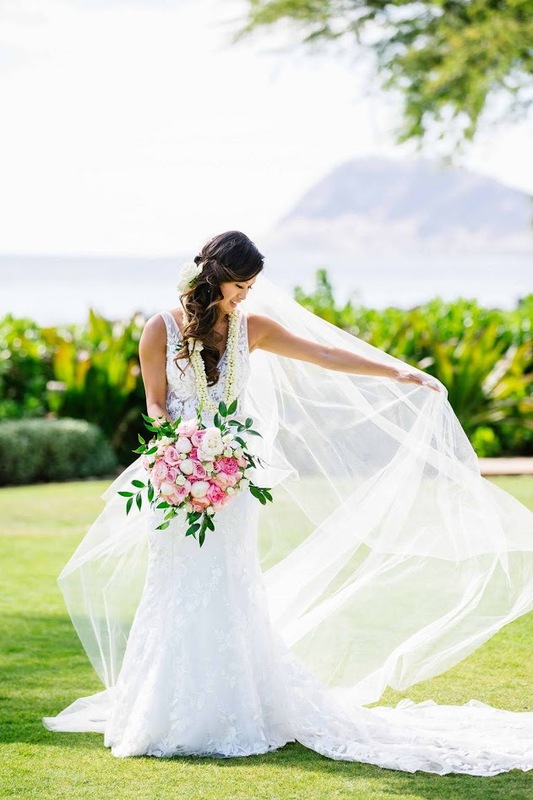 The finished look was polished, glowing, and perfect for a summer Hawaii wedding. We hope you enjoy seeing the joy and excitement that this beautiful couple shared on their wedding day.